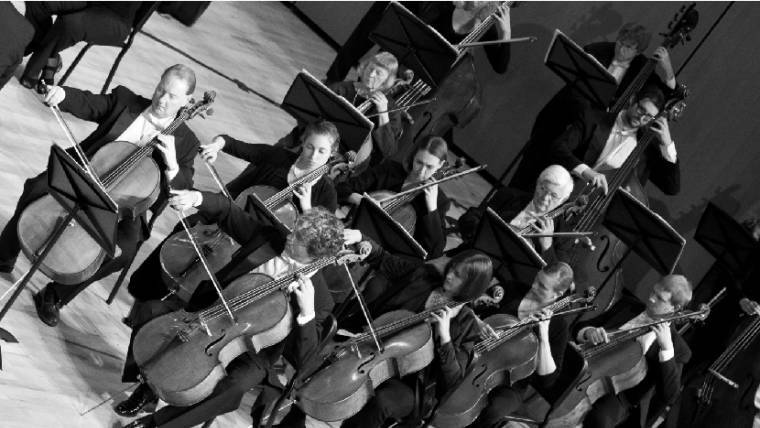 CEDAR RAPIDS, IA- October 2014- Orchestra Iowa’s Old World Wonders will be performed on November 7- 9 in various locations throughout the Eastern Iowa Corridor. Orchestra Iowa brings the wonders of France, Germany and the Czech Republic to the stage with this concert of Old World delights. Soloing with the orchestra is Joshua Roman, a cellist of extraordinary technical and musical gifts. He has earned national renown for performing with an absolute commitment to the essence of music at its most organic level. Before embarking on a solo career, Roman spent two seasons as principal cellist of the Seattle Symphony, a position he won in 2006 at the age of 22. Since that time he has appeared as a soloist with the San Francisco Symphony, the Seattle Symphony, the Los Angeles Philharmonic, the BBC Scottish Symphony, the New World Symphony, among many others. “I think years from now, people will be bragging to their children and grand children how they got to hear Joshua live in his prime before he became a household name joining the ranks of Yo-Yo Ma or Joshua Bell” says Maestro Hankewich. A concert featuring some of the composers’ most notarized works of their day, Orchestra Iowa presents iconic works of Ravel, Schumann and Dvorak. Dvorak’s Sixth Symphony is the piece that brought Dvorak to international acclaim. While resembling Brahms’ compositional voice, the fiery nature of the symphony’s third movement sets apart the piece. Le Tombeau de Couperin by Ravel was originally composed for solo piano and later orchestrated by the composer. The orchestral version clarifies the harmonic language of the suite and brings sharpness to its classical dance rhythms. Schumann’s Cello Concerto is considered one of his more enigmatic works due to its structure, and the transcendental quality of the opening. The concerto features completed and fragmented themes in the first movement which are developed through out the piece to produce a concerto unified in material and in character. Cellist Joshua Roman plays with the romanticism and intensity required of the Schumann Cello Concerto. The delicate insistence of his playing creates an incredible experience for all listening. Join Maestro Hankewich and guest artist Joshua Roman 45 minutes before the performance for an informative session on the repertoire, eras and significance tied to each piece. Orchestra Iowa is recognized as the state’s premier symphony orchestra, under the direction Timothy Hankewich, now in his eighth year as Music Director.